Every few years a part of Italy is struck by earthquakes. This often leads to destruction of houses and historical monuments and, unfortunately, deaths. 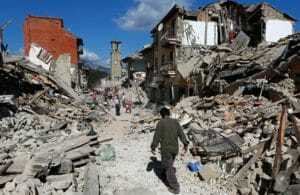 Who does not remeber the earthquake that destroyed the historical city of Aquila, less than ten years ago. Or the one that partly destroyed the church of San Francesco in Assisi. I remember visiting a village near Norcia once that was still completely uninhabitated years after a quake. A spooky town. The last big quake happened last year in the Le Marche and Abruzzo regions. These are situated in the central-southern part of the peninsula, at the Adriatic. 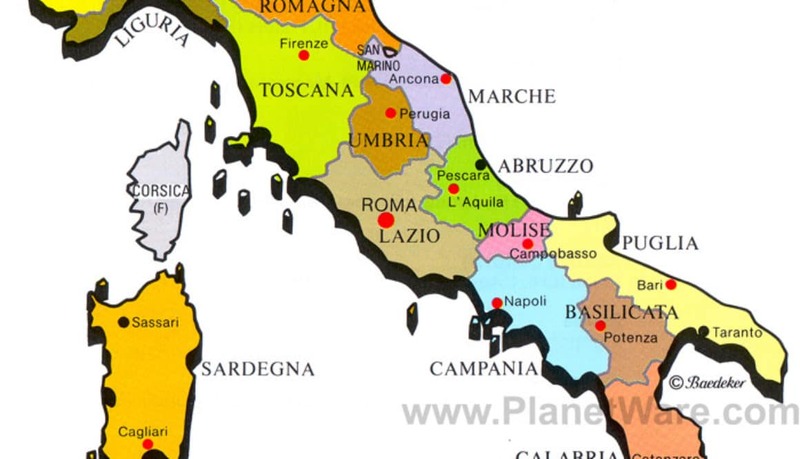 See my post of the geography of Italy. Le Marche or the Marks is a region that has become more and more known and popular among tourists. It is sad that this natural disaster has dealt a severe blow to this industry. 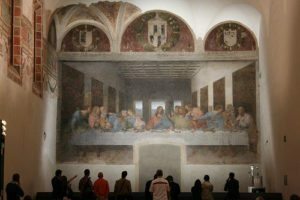 Tourism was (much) lower in 2017 and even some unfortunate bed and breakfasts, pensions and agriturismo’s had to close down as a result of the damages. Most notably the hotel Rigopiano that was completely destroyed. 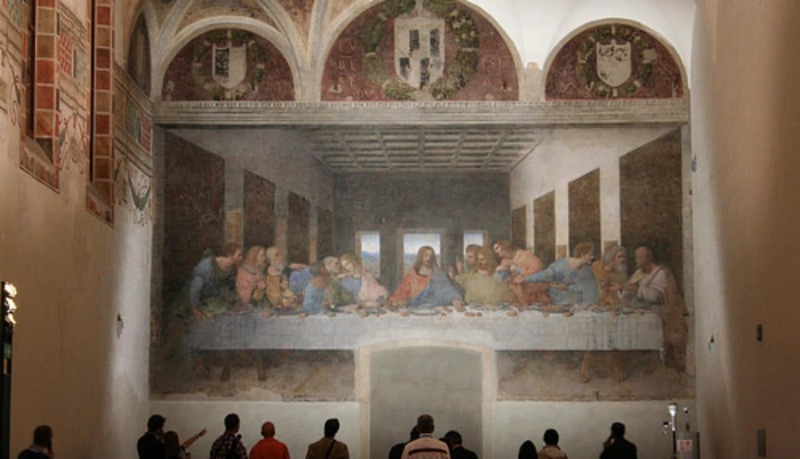 Also, the well-known village of Norcia, famous for its truffles, was severely struck. Our bed and breakfast is in the north of Italy in a zone with a low earthquake risk. 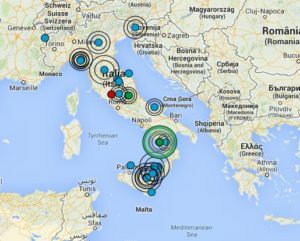 The Istituto Nazionale di Geofisica has issued a earthquake risk map of Italy that shows that central Italy is most at risk, due to the fold running across it. Its is there where the African and Euroasiatic shields meet. If you plan to buy a house in Italy in these areas this risk is a thing to consider seriously. Better make sure your house is earthquake proof and stay away from the more risky areas. The closest we in the south of Lombardy came to experience the effects of an earthquake was when there was a rather small one in 2015. This one had its epicenter near Modena. But we did not feel it, nor did we see ceiling lamps starting to swing. Our dog did not show signs of alarm either. The only earthquake that really scared us we experienced in The Netherlands when our bed started to shake in the middle of the night! P.S. On November, 19th, 2017 a 4.4 earthquake occurred near Parma. We did not feel the earth shaking but some people in the region did! 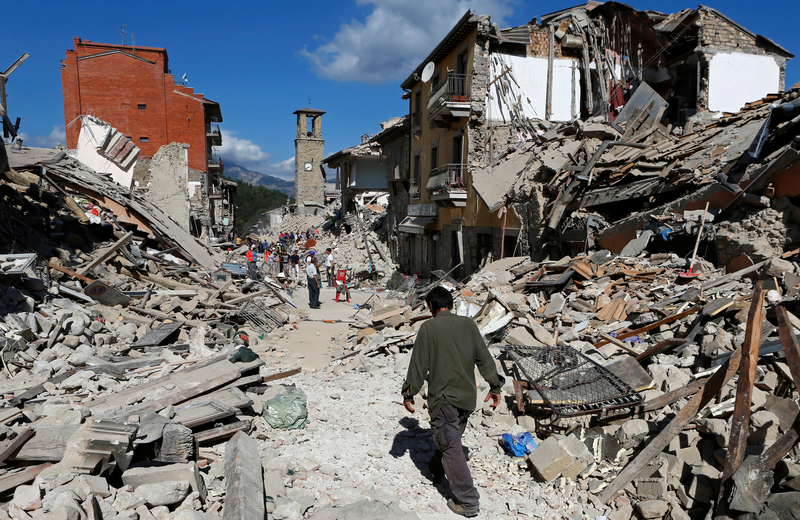 The Italian word for earthquake is terremoto, literally moving earth. 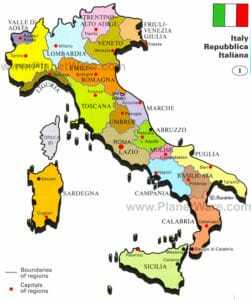 Yes, Italy is shaped in the form of a boot, most people know that and it is easily recognizable when you look at the map of Italy at the south with Calabria as the toe and Puglia as the heel. But who knows to pinpoint all the other regions? There are so many! Cities are easier but Rome, in which region is it situated? Milan is in Lombardy, okay, Turin in Piedmont, Florence in Tuscany, but Venice, Genua? Naples! What is the name of its region? The Cinque Terre, are they in their own region or is it Tuscany? Aiuto, help! 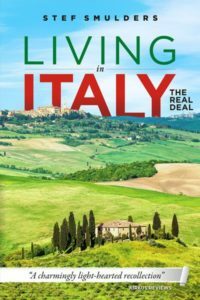 Palermo is in Sicily, easy peasy, but what is the capital of Sardinia and … was it the northern of the two big isles east of Spain or is that Corsica? Corsica is French, right? And then the Adriatic and the Tirrenean seas: I could never remember which one is which until I thought of this trick: Adriatic comes first as it starts with an A and so it is most ’up’, i.e. north and the Tirrenean starts with a ‘T’ and is therefore on the south coast. What a relief! We need more tricks to be able to memorize the Italian geography. 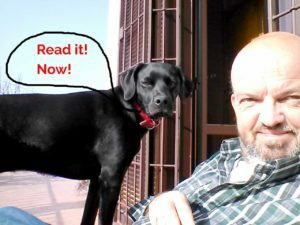 Fortunately, there is some help here: associate each region with a picture characteristic of its history or culture or personal experience and invent a story in which these elements appear in the right order. See https://www.matteosalvo.com/come-memorizzare-le-regioni-ditalia/ for an Italian example. Have a try and let me know in the comment! Some time ago we had guests at our bed and breakfast that arrived in a classic Italian cabriolet. They had toured the whole of Italy in it and to show their love of the country there was a small flag at the front of the car. It friendly waved at all the inhabitants of the small Italian villages they passed through. Some of whom had a look of surprise on their faces, though. Our guests noticed this, but without understanding why. When they drove onto our parking I immediately saw it: their little friendly flag had the right colors, but the green white red bands were arranged horizontally! As bad luck has it, this arrangement also exists, as the flag of Ireland, not the flag of Italy. Touring the whole of Italy waving the Irish colors, no wonder people looked at them wondering. 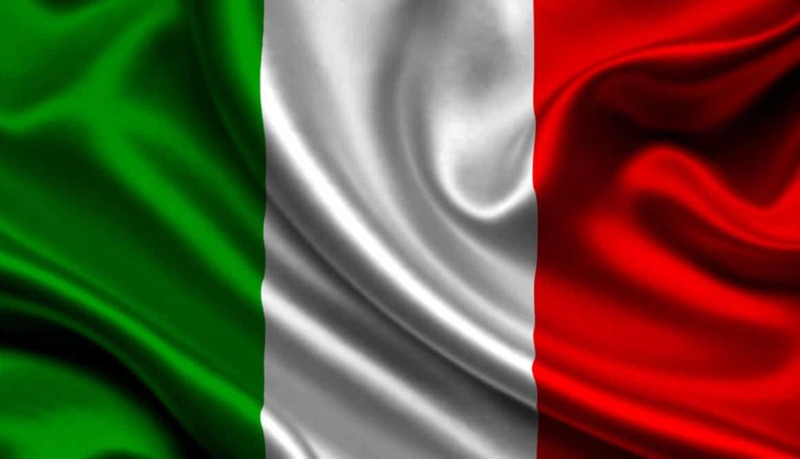 Apart from green, white and red of the Italian flag there is another color that designates Italy: sky blue or azzurro. This is probably because of the everlasting clear blue skies of the Italian summer. 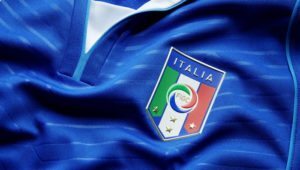 The Italian national soccer football team is dressed in a sky blue shirt and white shorts as well. And do not forget the text of the most famous Italian popular song, Domenico Modugno’s Volare: „Nel blu, dipinto di blu”. Horizontal, vertical or even diagonal, that doesn’t matter.